Is Your Body in Fat Burning or Fat Storing Mode? Is Your Body BURNING FAT, STORING FAT, BURNING SUGAR OR STORING SUGAR? 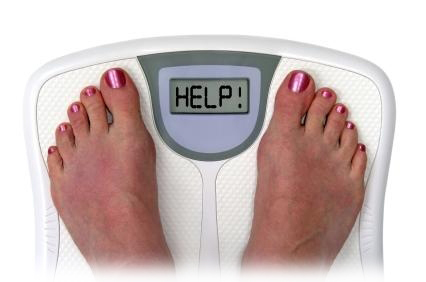 It's time for you to find out why you aren't losing your excess weight! We have amazing methods that we use to help you get your body into the FAT BURNING MODE! You can get blood tests, saliva tests, hair analysis, and various other tests to find out what deficiencies you have. But why not go the other way and analyze what you are putting into your mouth, the activities you are involved in, and how much sleep and exercise you are getting? Then you can see what you are missing. Instead, why not analyze what you are putting in your mouth, the activities you are doing and how much sleep and exercise you are getting. Only then can you see what you are missing. These results will automatically set the parameters for a program that apply to your body type. Under normal conditions, there are certain nutrients and foods you should be eating on a daily basis. We will be your personal coach and give you all the feedback you need. HOW DO YOU KNOW IF THE VITAMINS YOU ARE TAKING ARE EVEN DOING YOU ANY GOOD? An imbalanced body is an unhealthy body. Even though you may be getting plenty of calories, it's possible you are not feeding your body the proper nutrients it needs. When focusing on losing weight, it is also important to focus on getting your body the propernutrition it needs in order to be healthy. Most of us know the importance of taking vitamins, but when you go to a store to purchase them, how do you pick and choose which vitamins you need? In addition to that, how do you know that the vitamins you purchase are even going to work for you? You should only be taking vitamins that your body needs! We will find out what is going on in your body. It's important to know if a particular vitamin or supplement would help or not help you. Many people spend money each month needlessly on things that aren't helping them. Let us help you get your body balanced so you can simply take the vitamins that your body needs. Do you feel tired during the day? Do you lack the energy you need to accomplish what you want to? Do you need stimulants in the morning to get you going and stimulants throughout the day to keep you going? Why do you think you have no energy? Is that normal? Of course it isn't. This is usually an easy problem to solve! When your body lacks energy, it is a sign of imbalance. There could be many reasons for such an imbalance. One reason many people have low energy is that they have stressed adrenal glands. This often goes undiagnosed and people suffer and feel worn out throughout the day. When the adrenals are weakened and stressed, you will have a hard time sleeping and getting the rest your body needs. 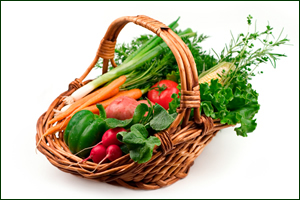 Low energy is often caused by poor nutrition or the inability of the body to digest what is taken in. When the body is not fed the proper nutrients that it needs to repair it and give it the necessary fuel, you will feel tired. Why is it that some people can eat whatever they want and not gain weight? Why is it that some people say they just look at food and gain weight? The answer is their hormones. 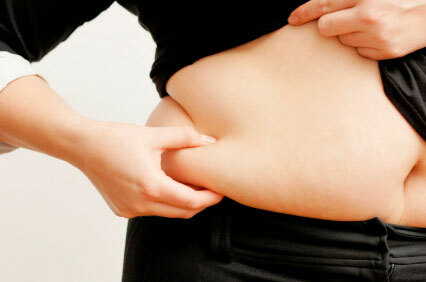 When a person's hormones are not balanced, their body stores fat. There is no way you can put everyone on the same diet and have them all lose weight. People have different hormonal and glandular problems. If a person has a glandular weakness, their body will distort very specifically to a certain look. One gland problem will cause weight gain in the hips, another in the stomach, another one will cause weight gain all over the body. Doesn't it make sense to feed the body based on its weaknesses? For example a person with a bad liver can't digest and do well with heavy proteins. But if you took another person with a pancreas weakness and put them on too many carbohydrates, they will also do very poorly. There are six fat burning hormones that should be working for you and not against you. A hormonally-healthy, balanced body will burn fat. When a person gets injured, they not only injure the body part, but they can also stress organs and create an imbalance in the body. One of the organs this often happens to is the adrenal gland. The adrenal gland acts as the bodies own natural anti-inflammatory to decrease pain in joints and muscles. Chronic pain is a symptom of an imbalance in the body and in the body's hormones. Living with pain can stress the adrenals, which decreases fat burning and increases fat storing. So living in pain, is not only uncomfortable, it can make you fat. You need to be out of pain before you can get into fat burning mode. We actually analyze your adrenals to see if they are stressed or in a weakened state. This enables us to properly balance the hormones--thus relieving the pain and increasing the fat burning process. 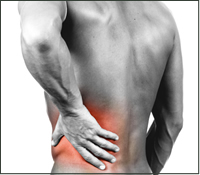 If you are experiencing back pain, we can help.